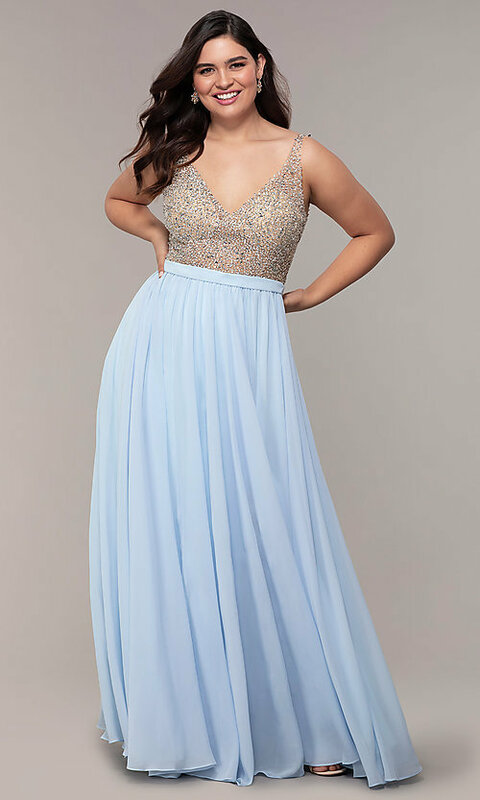 Go for best dressed at prom 2019 in this long plus-size prom dress. 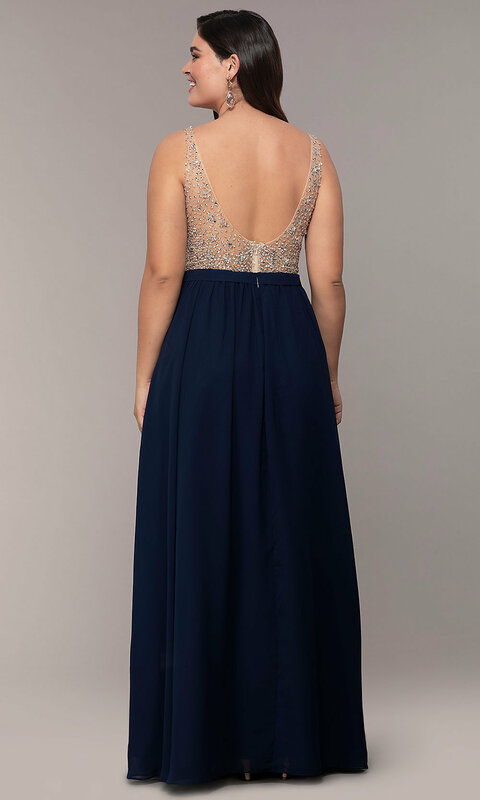 Covered in twinkling beads, the sheer-illusion bodice features an alluring v-neckline and scooped open back. 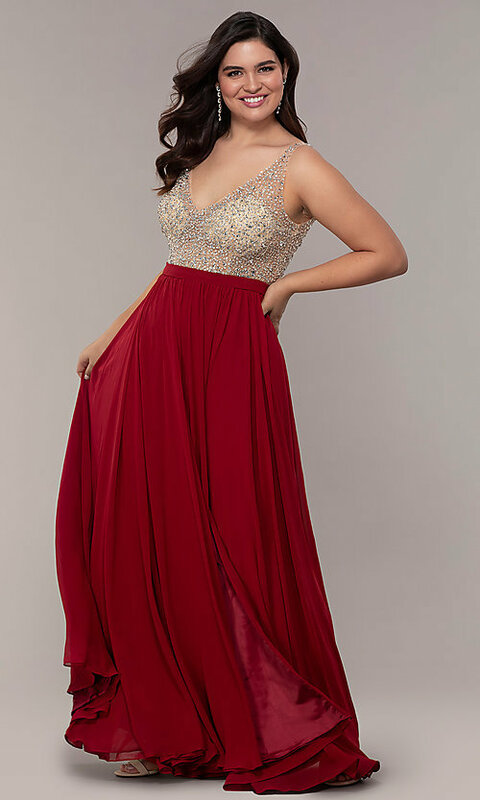 Flattering knife-pleated chiffon on the gorgeous long beaded-bodice dress cinches the waist before smoothly flowing to the floor. 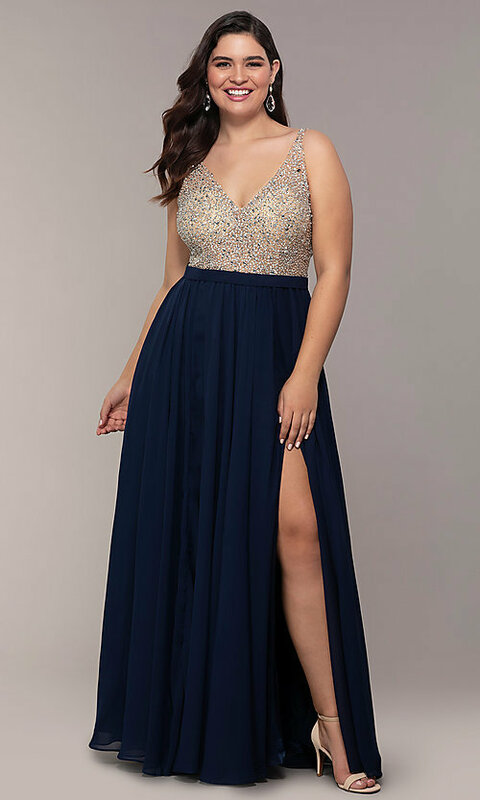 At under $250, this 2019 plus-size prom dress is an affordable and gorgeous choice for prom, pageants, and other formal occasions.